This little robot scans the local Wi-Fi environment and will react based on what it finds. Editor's Note: We are very excited to announce our first joint project with All About Circuits! 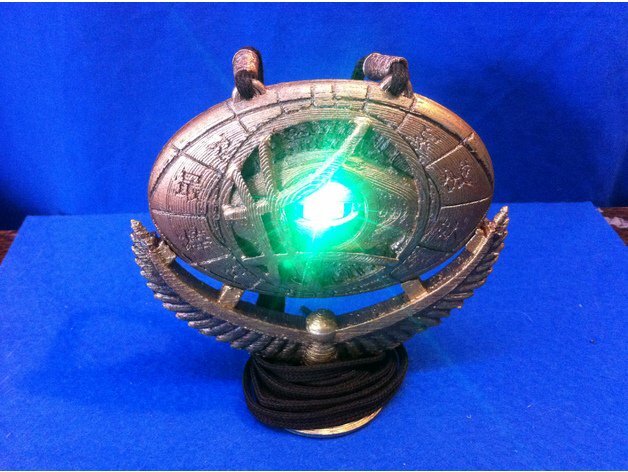 The circuitry and firmware for the Wi-Fi Eye of Agamotto can be found on All About Circuits, and the 3-D printing and assembly instructions will be housed on Maker Pro. This little robot scans the local Wi-Fi environment and will react based on what it finds! This Wi-Fi eye can be placed inside of an Eye of Agamoto skin or a Destiny Ghost skin. You can find the files for both on Thingverse. Both designs are made with OpenSCAD, which is an open-source computer-aided design tool that is reminiscent of the LOGO programming language. 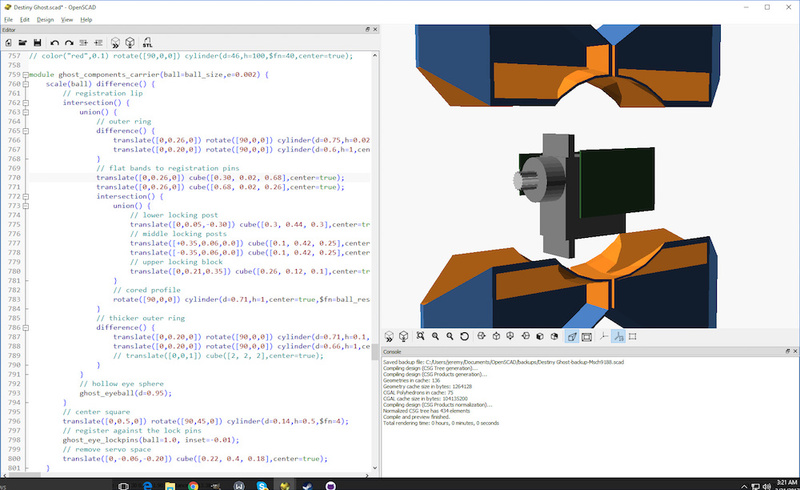 You don't draw curves using a visual editor, but you write little "programs" made from geometric primitives and boolean operations that combine together to create more complex objects. This might sound like less fun than molding virtual reality clay, but if you want a 100x100 grid of M3 holes, you can achieve in two for() loops what might take all day with a visual editor. And then you can make all those holes 0.1mm bigger with one code change when it turns out the bolts don't quite fit. That's called "parametric modeling" or "oops, I forgot about print tolerances". The Eye of Agomotto is the simpler and more forgiving print. The eyelids might be a little challenging with the fine details around the servo horn “sockets”, but the parts are minimal and the assembly process is very simple, with just four zip-ties. 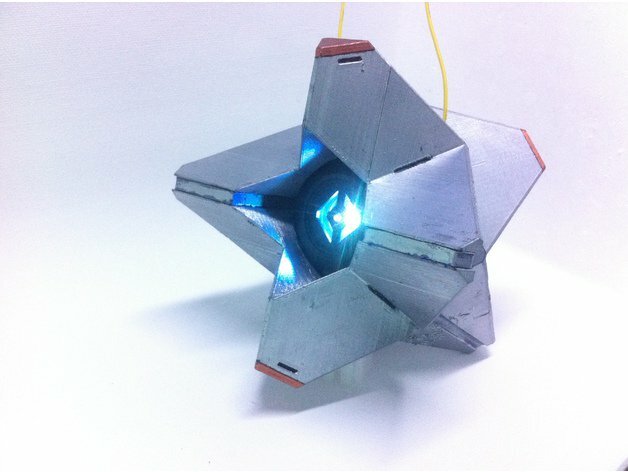 The Destiny Ghost build is skewed more for those who love assembling model kits. The electronics are simpler (one servo and no battery), but the physical build has more pieces that can be painted separately and glued together. All the electronics are in the central ball, so the servo twists the front and back halves relative to each other. The rest is just a shell that clips onto the outside of the eyeball, so you can customize that as you wish—orr have multiple shells of different styles, as in the game. Of course, these are just examples. 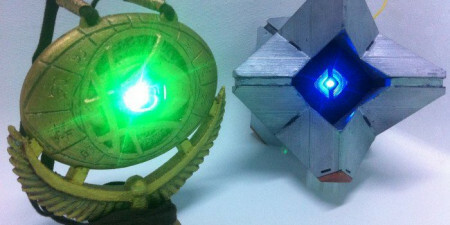 There’s a long list of one-eye robot characters from sci-fi stories and films—or artifacts that open and close or change color when they sense the presence of other items. Or, you might be designing something entirely novel. 3-D printers are fantastic tools, and if you're already into robots, they will be a logical step for you. If I can give only one piece of advice, it is to remember they will always produce something very similar, but not quite identical, to your perfect design on the computer. For example, the layer lines will impart a "grain" to the object. Rather than fight that, I've been learning to use it as a feature, to create visual texture and improve strength in certain directions. Or, turn the necessity of splitting up complex shapes for printing into an opportunity to make painting easier. You may not get exactly what you asked for, but if you can tweak things so you actually get what you want, the printer can do it over and over, as many times as you need. In the next installment, we will get into assembly! Honors in Computing Science, majoring in AI and Software Engineering, represented Australia at the '92 ACM.